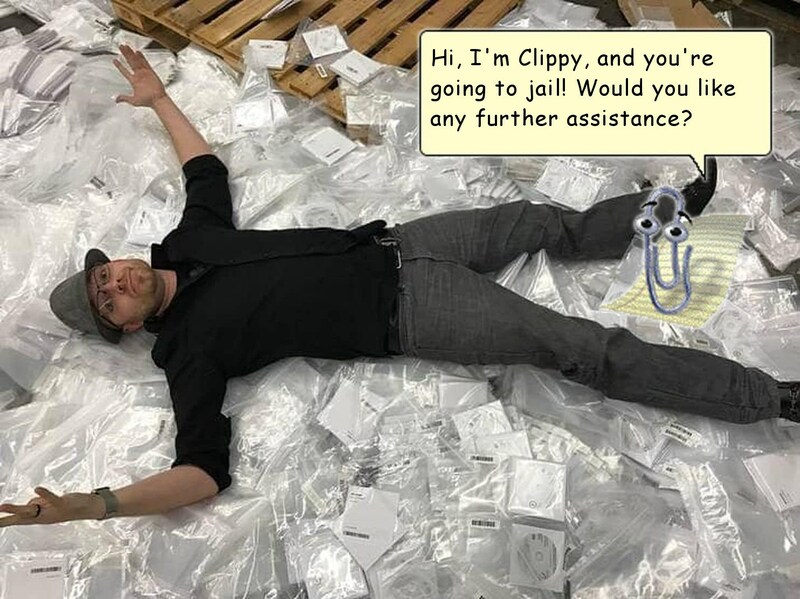 Microsoft's expert testimony was key to putting Lundgren behind bars, with the company arguing that Lundgren (who was wholesaling the discs to other recyclers for $0.25/each) was a "commercial infringer" and insisting that distributing a copy of Windows that couldn't be activated without a license key was the same as pirating the operating system. After Microsoft prevailed in its campaign to see Lundgren sent to prison, the company was taken aback by the negative publicity it received, so it started issuing public statements further smearing Lundgren with selective half-truths and out-and-out lies. Tech Crunch's Devin Coldewey has provided a detailed, point-by-point rebuttal of Microsoft's smears.